BAM has a reputation not only for cutting edge style but also the highest quality protection for your instrument. The new BAM Trekking cases carry on this tradition and offer the modern clarinettist all the relevant space and protection they need. The inside cradle is made of injected high density polyurethane foam, protecting the instrument against thermal shocks. There is a dedicated space for 2 barrels and mouthpiece. On the exterior the case benefits from a side handle, 2 padded backpack straps and a large expandable external pocket for sheet music. The external fabric is water resistant and protects against abrasion and tears. 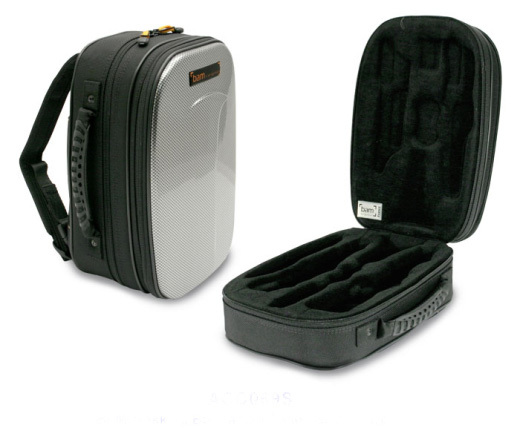 These cases are modelled to fit the Buffet range of clarinets, we do find them suitable for other brands but if in doubt please contact us directly.